Welcome back, folks! Last week we dove fleet first into the brand new Halo tabletop game from our partners at Spartan Games. For fans of the stellar ship experience, Halo: Fleet Battles will be making an appearance this weekend at GenCon in Indianapolis. If you’re in the neighborhood, more info can be found here. Meanwhile around these parts, the Seattle skies and Lake Washington waters will be filled with a different fleeting demonstration, as Seafair brings its annual abundance of high-speed hydro racing and epic aerobatic action to a myriad of excited and awaiting eyes and ears. 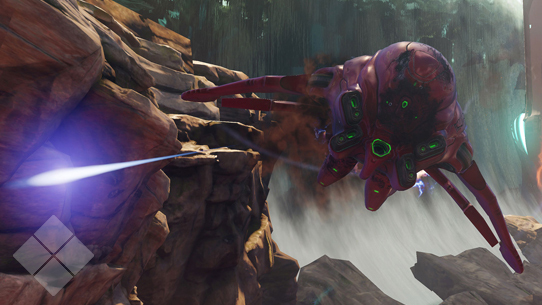 At 343 Industries specifically, we’re all heads down on a variety of different ways we hope to bring the eyes and ears of Halo fans just as much excitement and joy, whether it’s pouring into the production and polish of Halo 5: Guardians, or getting ready to share more news at next week’s Gamescom conference in Germany. Needless to say, we hope you enjoy what we have in store on all fronts. 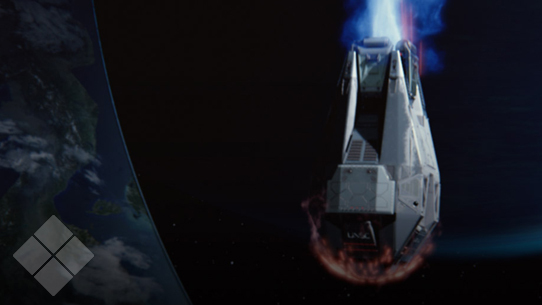 In this week’s issue of Canon Fodder, we’ve got a smattering of topics to touch on, starting off with a few of your very own burning questions from the Halo Waypoint Universe forum. Q: What, if any survived, happened to the Councilors? Were they integrated into Swords of Sanghelios, if so how? A: Like the rest of the Sangheili, the surviving Councilors were not completely unified in their opinions on how to proceed following the Great Schism. While some did take up the Arbiter’s cause, many others had become enamored with the idea of bringing the Covenant empire under complete Sangheili rule, quickly scrambling to grab power wherever they could. Some of these eventually served under Jul ‘Mdama, while others consolidated small pockets of reclaimed Covenant assets under more independent factions. Q: Can you give any hints as to where Spartan Kojo "Romeo" Agu ended up? A: Shortly after the events on Talista in 2555, ONI assigned Spartan Agu on a specialized solo mission to eliminate a particularly tenacious group of Kig-Yar pirates who were disrupting a UNSC supply chain to the colony of Concord. Testing a prototype GEN2 DEADEYE-class Mjolnir armor system, Spartan Agu succeeded in neutralizing the enemy over the four-day operation. 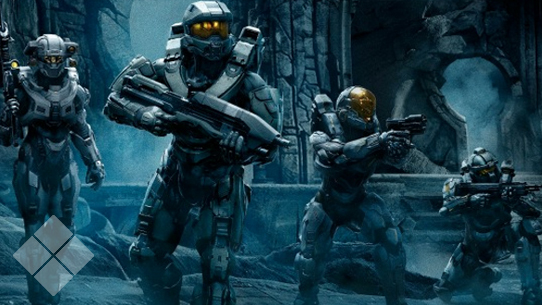 Following the mission’s success, Agu was assigned to a new Spartan-IV fireteam, whose identity and operations remain classified. 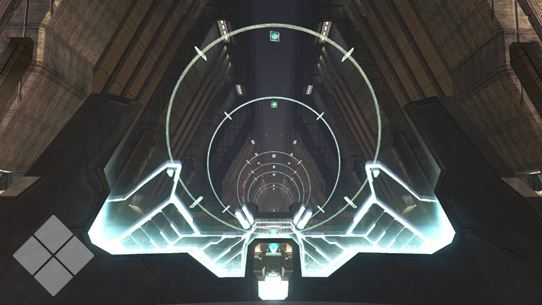 Q: In Halo 3, when you walked through the Array Control Room on the Ark, it shows the surfaces of the Halos as having quite varied surface conditions, For example: Installation 07. In the control room you could clearly see that the entire surface was covered in desert. In Halo: Hunters in the Dark, Installation 07 is depicted as a very Earth-like environment. This especially makes no sense as the monitor of 07 seems to have been offline for a while. Could you clear this up as well please? - custodial dereliction: the act of functional abandonment by a Forerunner AI, generally due to a kind of rampancy or fallacy-induced logic erosion, something which has been observed, with some regularity, as an unintended result of the extremely long spans of time such AI have existed. - biological remediation: the almost preternatural repair mechanism in an installation’s habitability sustainment systems, designed to mend the ring from extreme damage in a variety of ways, including the spontaneous, raw germination of flora from the ground up and the dissemination of various species from an indexed repository. The gist of the hypothesis is that at some point over the last hundred thousand years, the monitor tasked with the safekeeping of the installations above allowed the rings to go into disrepair (or possibly even instigated its disrepair). Then, whether due to a state originating prior to the disrepair or one which fomented after, the monitor abandoned functional authority over the installation, which halted all node correspondence with the Ark thereby leaving its current holographic presentation at the citadel facility outmoded and long-since-expired, even though biological remediation efforts had automatically initiated. By popular demand, 343 and our friends at Simon & Schuster are proud to confirm that Halo: New Blood is indeed getting its own physical release, and should be available in March 2016! Trust me, I’m just as excited as you are; I’ve been saving a very special spot on my shelf just for this very occasion. You can check out a bit more info here, and as we get closer, we’ll be sure to bring you any updates. Halo: Escalation Issue #20 just released this week, and the tension is only growing as contact is made with the Forerunner ancilla charged with guarding the Absolute Record. 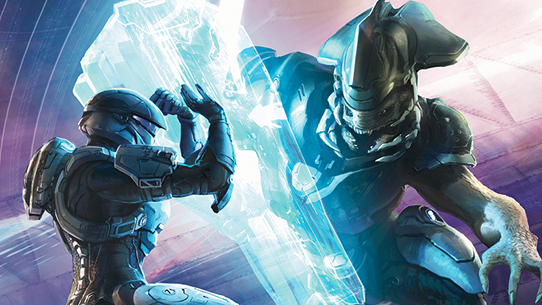 Add to it the struggle between Spartan Thorn and ONI-allied Sangheili operative Ayit ‘Sevi, the two warriors working against time to find the common ground they’ll need to survive. If you haven’t checked it out, go here and do so now! Also filed under the “new Halo fiction released this week” folder is our very own Frank O’Connor’s latest prose, Halo: Saint’s Testimony. We got a small tease of what to expect from Frank back in Issue 15 of Canon Fodder, and got our first look at the book's art and description in Issue 25. We’ll be revisiting this title more in depth with the Hamish Beamish look-alike himself in the near future, after folks have had a few weeks to consume and digest this latest thought-provoking addition to the Halo lore. Thought it might be fun to spice up this space once in a while with some trivia. Sometimes it will be a bit easier, other times… not so much. Obviously, you could just look these up before you answered, but I know all you canon lovers are all about purity of data and accurate analysis, so I trust none of our regular denizens would do that, right? Right?! Anyway, let’s begin! And with that, we draw to a close… for now. 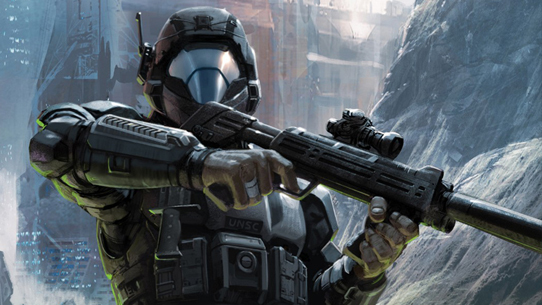 Have an awesome weekend, and go soak up some hot-off-the-presses Halo fiction! Until next week…Live well, play Halo, and always beware of friendly fire when playing Arena with Holmes and DelHoyo.